Ah, Shotguns…Adler A110: Isn’t THIS nice? 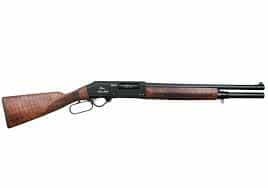 https://www.youtube.com/watch?v=GrIEnhWQ Forget the ‘Bucket List’ Bring on the Birthday List – or the Xmas List: From A$749: http://nioa.net.au/news/latest-nrH0ews/view/38/adler-lever-action-shotgun/latest-news & https://www.cleaverfirearms.com/Products.aspx?Category=Shotguns&Brand=231 I understand you can now use a 12G shotgun for sambar deer. This rapid-fire 7-shot beauty will be a boon for hound hunters, not to mention duck hunters – and home defence.